Jaitley said Congress and Gandhi were guilty on three counts - delaying the deal by over a decade comprising national security, speaking of falsehood on pricing and procedure, and further delaying the defence procurement by raising these issues. 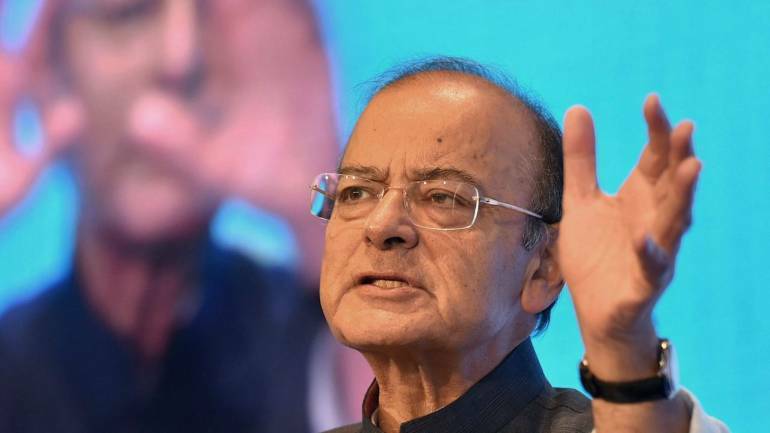 Finance Minister Arun Jaitley today accused Congress of "peddling untruth" on the Rafale aircraft deal, saying the "false campaign" by the opposition party and its leader Rahul Gandhi was seriously compromising national security. In a Facebook blog, he posed 15 questions to Gandhi and said the deal NDA government had entered into with France on April 10, 2015 for purchase of 36 Rafale fighter jets was on "better" terms than the one agreed to by the UPA government in 2007. "I am asking these questions as his misadventure is impairing national interest and I hope Rahul Gandhi and the Congress party would respond immediately," he wrote. "Congress party's false campaign launched on Rafale aircraft deal based on peddled untruth has been casting a cloud on the Inter-Governmental agreement & seriously compromising national security," he said. Stating that the Rafale controversy was based on "complete falsehood", he said it was expected from national political parties and their responsible leaders to keep themselves informed of the basic facts before they enter a public discourse on defence transactions. "Needless to say that I am constrained by the secrecy clause which exists in the contract and whatever I ask or respond to would be constrained by that limitation," he said. The finance minister said Gandhi had in Jaipur used two figures – Rs 520 crore and Rs 540 crore as the cost of each fighter jet. "Rahul Gandhi quoted a price of Rs 700 crore per aircraft in Delhi and Karnataka in April and May this year. In Parliament, he reduced it to Rs 520 crore per aircraft, in Raipur he increased it to Rs 540 crore," he said. "In Hyderabad, he invented a new price of Rs 526 crore. Truth has only one version, falsehood has many. Are these allegations being made without any familiarity with the facts of the Rafale purchase?," he asked.